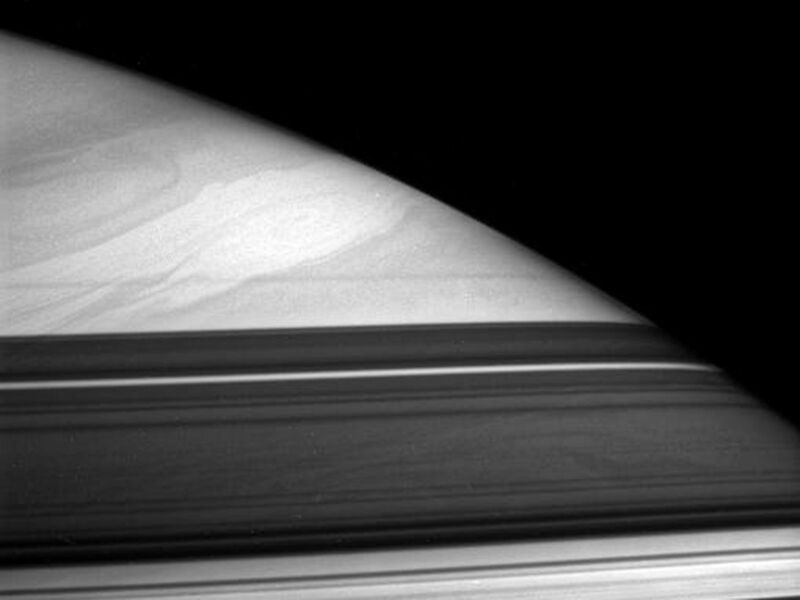 A great storm swims in the cloud lanes of Saturn's high northern latitudes. 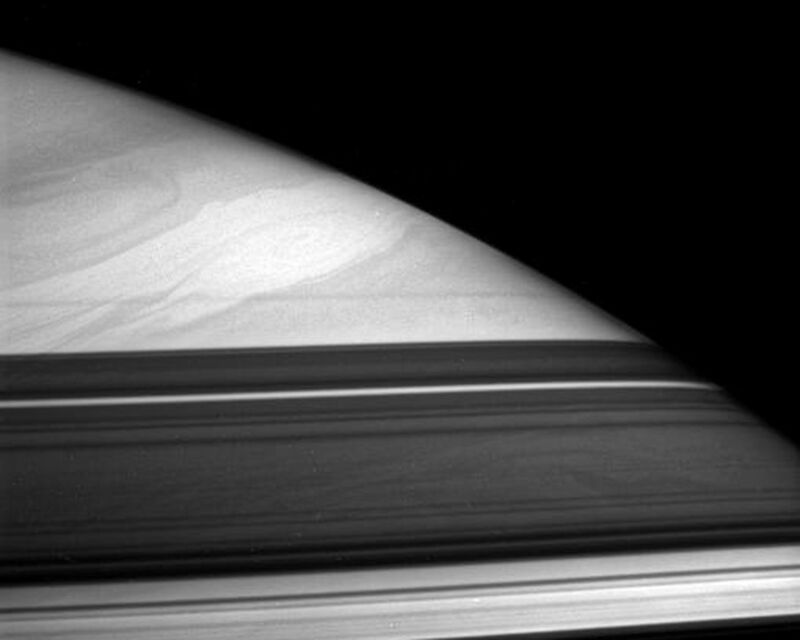 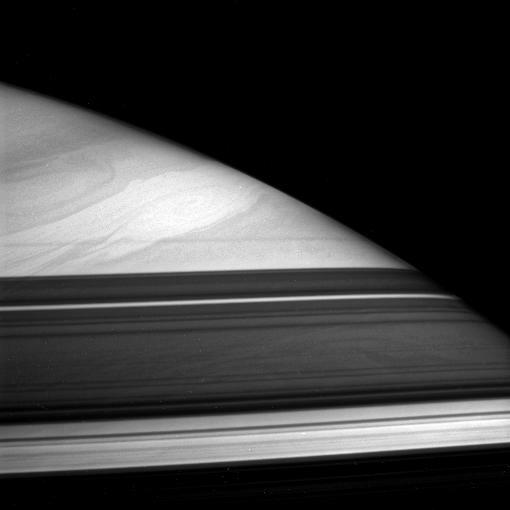 Dark bands across the bottom of this view are shadows cast by the partly opaque rings. 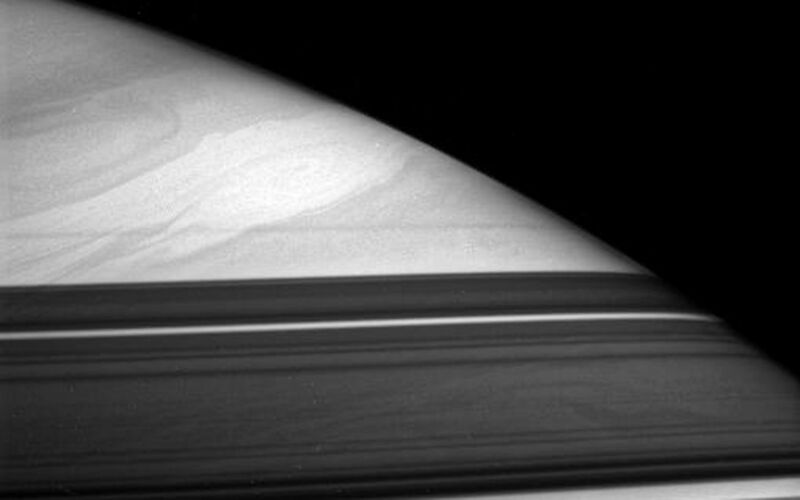 Cloud features are visible within the shadow of the A ring, below center.